We’ll only ever collect, use and share your information in ways that are described in this policy. We’re committed to the confidentiality and security of the personal data you give us. Update your profile and communication preferences at any time. You’ll come across the term ‘personal data’ a lot in this policy. By that, we mean any information relating to you as an identifiable individual. For example, this includes information that may of itself identify you such as your name, contact details, trip itinerary, internet protocol (“IP”) address, cookie strings or device IDs, as well as information that may not on its own identify you, but which we store alongside such identifiers, such as how you are using our services or the country you are in when you do so. We only use your information where you’ve given us your consent, where its necessary to deliver the services you’ve requested, where it’s necessary to exercise or comply with legal rights or obligations, or for normal business purposes of the kind set out in this policy. When we need to do so to deliver our services or facilitate the performance of a contract you’ve entered – or are entering – into, such as making a booking with us or a Travel Supplier. How we use personal data to perform contracts. Where you have created an account with us, maintaining and administering this and ensuring that it is kept up-to-date and accessible. To improve or optimise our services and to otherwise protect or further our legitimate interests. 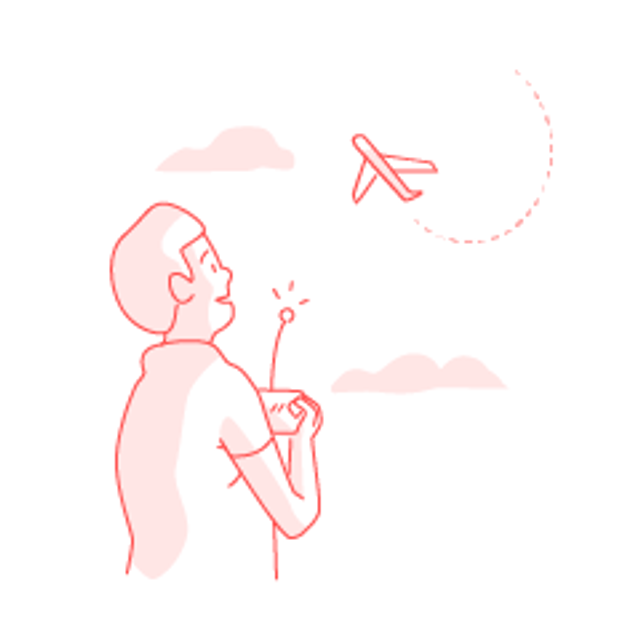 This includes pretty serious reasons like fraud prevention and security but also fun ones like product enhancement so we can keep making Skyscanner even better for our travellers. Our legitimate interests. measuring the effectiveness of our communications through recording and analysing whether emails we have sent users have been opened. displaying relevant advertisements to you about our services or other services that we think may be of interest to you. For example, where we know that you’ve recently searched for a flight to a given location, we may display a message to you asking whether you’d like to search for a hotel or car in the same location. See the ‘How is your information used for advertising?’ section below for more information. Personalising your experience involves us creating a profile and timeline of your activity on our services. However, we are careful to ensure that our activities do not involve undertaking any profiling or automated decision making that might have any legal or other significant effects on you. Informing strategic business decisions through creating aggregated datasets of anonymised data that allow us to generate helpful insights into patterns or trends within the travel industry. For example, we can use search data to monitor demand for destinations and make sure that the fares and travel options that we surface to our users are available via our services. This information is also useful for Travel Suppliers as it enables them to identify new routes or locations that are in demand and ensure they are delivering competitive rates. depending on how far you get through the recruitment process we will use information in your application to check your references and background, use your verification and identification documents for screening purposes and to confirm your suitability and right to work, and potentially arrange travel to visit us for interview. You can find out more about how we process your personal data when you apply for a role. Where we process your personal data based on a legitimate interest we will only do so where the processing is relevant, adequate and limited to what is necessary for the purpose it was collected for. And of course, we’ll always ensure our legitimate interests don’t unfairly impact on your own rights and freedoms. When we have your consent. More on when we rely on your consent. recording and evaluating feedback you give us where you agree to take part in one-to-one user testing. Where we process your personal data based only on your consent, you can withdraw this consent at any time either by using the functionality provided within the appropriate product feature or by contacting us. Where it’s necessary to exercise or comply with our own legal rights or obligations. Our legal obligations. Everyone who uses our services will have bits and pieces of information about them collected, stored and processed. However, we don’t collect more information than we need. Information you choose to give us might include personal data needed for you to book travel for yourself and others. This ranges from the dates and destination you choose in a search, to the basic stuff for making a booking with a Travel Supplier such as names and contact details. It can also include content like the reviews or photographs you upload to our services to share with other travellers. Most importantly, it’s always up to you whether or not you choose to give us this kind of information. We generate or collect some information from your computer or device automatically as you use our services. This includes stuff like your IP address, information about the device and browser you are using to access our services, the website URL you visited us from and the third party sites you visit when you click on links to exit the Skyscanner site. It also includes details of the bookings you have made via Skyscanner. We may also know your location from your mobile or your IP address. This helps us to improve your experience and make sure you receive the content that’s most relevant to you. Sometimes we’re given information about you from third parties, depending on how you choose to interact with us. For example, when you come to our website via a promotional partner, or when you log into your Skyscanner account using our social network login feature. And, if you’ve redirected to a Travel Supplier’s website or app to complete your booking, we might collect information from them about whether you went ahead with your trip and what you booked. Our services are not intended for children under 13 years of age, and no one under the age of 13 should provide any information to, on or via our services. We don’t knowingly collect personal data from children under 13, and will delete any that we learn we have collected or received that was not provided by, or with express consent on behalf of, the child’s parent or legal guardian. such as a copy of your passport or other identity confirming documentation which may contain information like your name, address, gender, immigration status, nationality and date of birth. such as your booking reference, booking history, passenger name record (“PNR”), identification or passport information and travel itinerary. In circumstances where you are applying for a job with Skyscanner, we may ask for certain information for diversity monitoring purposes (such as race and ethnicity). non-specific location based on your IP address. where you’ve redirected to a Travel Supplier’s website or app for the purposes of completing a booking, we may collect information from that Travel Supplier about whether and what you went on to book with them. selected preferences associated with your Skyscanner account including specific consents you have given or declined, email and push notification preferences and cookies containing your advertisement preferences. metadata associated with those communications, such as time and date. any information you submit to us during the course of any correspondence you may have with us, such as signatures, photographs, opinions and, where you are applying for a job with Skyscanner, details of your employment history, salary and other similar information. information from your publicly accessible LinkedIn (or other social network) profile such as name, email address and CV for recruitment purposes, where you have given this to a third party and they have made it available to us in accordance with their own terms and privacy policies. Also, if you have an account with us, we will keep personal data such as your email address, name and other details so you can log in and access our services for as long as you have an account. We may keep other information indefinitely – such as site activity linked to an IP address – which we use to help us understand our travellers, improve our products and services and protect our business interests. We may also delete User Content, which may include personal data, in accordance with our terms of service and community guidelines. No matter how long the retention period, you can ask us to delete your personal data in certain circumstances. Find out more about how you can manage your personal data in the What are your choices and rights? section of this policy. We share information relating to our users with selected third parties who provide us with a variety of different services that support the delivery of our services (let’s call them “Third Party Processors”). These Third Party Processors range from providers of technical infrastructure to customer service and authentication tools. We require any Third Party Processor which handles information on our behalf to do so pursuant to contractual terms which require that the information is kept secure, is processed in accordance with applicable data protection laws, and used only as we have instructed and not for that Third Party Processor’s own purposes (unless you have explicitly consented to them doing so). We will share personal data with third parties where you expressly authorise us to, such as where we run a promotion in conjunction with a partner and you instruct us to share your email address with that third party for the purpose of receiving promotional emails. Publicly accessible personal data included in User Content such as your name, likeness and the content of reviews and posts may be shared and/or made available to carefully selected third parties with whom we have a contractual relationship for the purpose of displaying this content in their travel-related product and services. Find out more about how you can manage your personal data when it is shared in this way in the What are your choices and rights? section of this policy. We may disclose your information where necessary to enforce our Terms of Service or other agreements, or to a prospective or ultimate buyer if Skyscanner itself (or part of our business) is sold. We may also disclose your information if necessary to prevent, detect or prosecute illegal or suspected illegal activities, including fraud, or to prevent other damage or where necessary in response to legally binding requests, legal action against us, or to enforce our rights and claims. Safeguarding your privacy is embedded in our culture and we use a combination of industry-standard methods to protect it. Keeping your personal data secure is our highest priority. We limit access to only those Skyscanner group employees who have to come into contact with your information to do their jobs and deliver our services. 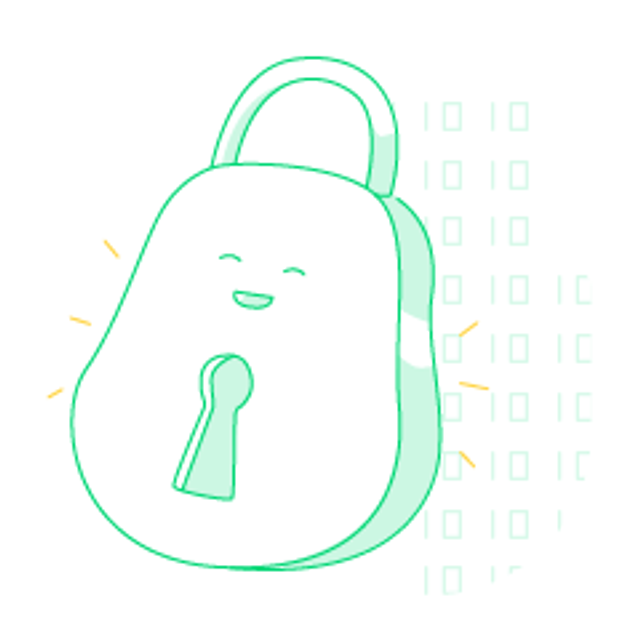 Unfortunately, no website or app can guarantee complete security but we have created an organisation-wide security programme designed to keep your personal data as safe as possible. It uses a range of technical, organisational and administrative security measures and best-practice techniques, depending on the type of data being processed. For example, the computer systems we use to store your data have access limitations and in-cloud based servers that use industry-standard disc encryption. We use TLS and HTTPS encryption to protect your personal data when we transfer it across the internet. And we carry out security assessments on Third Party Processors who handle your data. To make sure we maintain a culture of ‘Privacy by Design’, we provide thorough data protection and privacy training to all Skyscanner group employees. We develop our services with the goal of using the minimum amount of personal data possible, including through use of data minimisation techniques like anonymisation and pseudonymisation. Also, whenever we develop or update our services in ways that involve the collection or use of new forms of personal data, we conduct a privacy impact assessment to understand, and reduce, the likelihood of any unintended impact on you. Your data is securely stored in data centres around the world – the exact location depends on where you are when you use Skyscanner. Your data will only be processed by suppliers who provide appropriate contractual safeguards for the information they process. Sometimes your data may be stored in countries with different levels of security to your own but we always make sure their standards meet ours. We store the information we collect from you on secure servers in various locations, depending on where you are in the world when you access our site. Currently, we use servers that are located in Amsterdam, Ireland, Frankfurt, Hong Kong, Russia, Singapore, Tokyo and the UK. These servers are provided and/or supported by third parties acting under our instruction (see When is your information shared with or collected by third parties? for more information). You’ll often see adverts while using our services. These will either be delivered by us directly or by third party advertising solution providers we partner with (let’s call them “Third Party Ad Solutions”). The majority of these adverts will be personalised to make them relevant to you and will fall into two different categories. Firstly, adverts that are personalised for you based on information collected by us or by Third Party Ad Solutions whilst you use our services, such as your general location (by city or country) and your Skyscanner searches or booking history (“Skyscanner-related Information”). So, for example, if you’ve booked a flight to Rome, you’ll see adverts about hotels in Rome, rather than hotels in Paris (Paris is lovely, but this could be a bit annoying!). 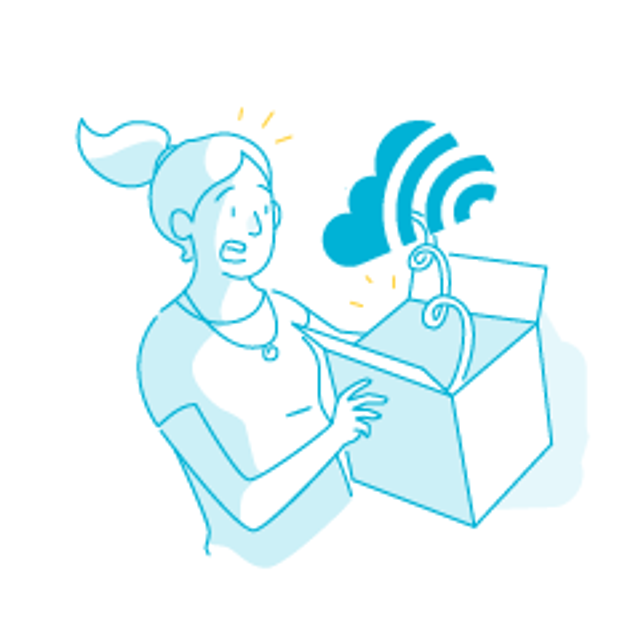 Skyscanner-related Information will never include your name, contact details or other information that would enable you to be identified in the offline world. Secondly, adverts that are personalised for you based on information that we have no visibility or control over, and which is instead collected from you by Third Party Solutions when you have been using other non-Skyscanner websites or platforms (“non-Skyscanner Platforms”). Collectively, we refer to these as “interest-based” advertisements. The information required to deliver these interest-based advertisements will be stored by Third Party Ad Solutions alongside your IP address and/or a cookie ID, so that you can be served the adverts without the Third Party Ad Solutions needing to store any information that would enable you to be identified in the offline world, like your name or address. You might also see adverts for our services once you’ve left Skyscanner and are using non-Skyscanner websites. For example, this would happen where a non-Skyscanner Platform that you use makes advertising space available for sale and Skyscanner, or a Third Party Ad Solution that we work with, purchases that space. Similar to the adverts you see whilst using Skyscanner, these adverts may be personalised and served to you because of information that Third Party Ad Solutions have collected about you, either when you were using our services or when you were using other non-Skyscanner Platforms. For example, if you have searched for a flight from Edinburgh to London on Skyscanner or another non-Skyscanner Platform, and we have asked Third Party Ad Solution to show our advert to individuals that have expressed an interest in travelling to London, the Third Party Ad Solution may categorise you within that group and serve you our advert. How can I control the adverts I see? Web beacons or pixels are small, transparent image files inside a web page or email. We use them to understand how you interact with our services, or if you’ve redirected to a Travel Supplier’s website or app. We might use the pixel to confirm if you went on to book with them, and what you booked. We also use pixels to gather information such as whether you’ve opened an email, so that we can improve our communications to you. If you’ve got a Skyscanner account, you can access, edit, download or delete the key personal data associated with your profile at any time by going to your Profile. From here you can also manage your subscription and marketing preferences. You also have rights in relation to the personal data we have about you, which we explain in more detail below. You can exercise these rights by getting in touch with us via our Help Centre. You have the right to ask us for a copy of your personal data; to correct, delete or restrict processing of your personal data; and to obtain the personal data you have provided to us in a structured, machine readable format. In addition, you can object to the processing of your personal data in some circumstances (in particular, where we don’t have to process the data to meet a contractual or other legal requirement). Where we have asked for your consent, you may withdraw consent at any time. If you ask to withdraw your consent to Skyscanner processing your data, this will not affect any processing which has already taken place at that time. To the extent that you’re unable to satisfactorily exercise any of these rights via your Profile, you can do so by contacting our Data Protection Officer by post at Skyscanner, Quartermile One, 15 Lauriston Place, Edinburgh EH3 9EN, or electronically via our Help Centre. If you have unresolved concerns, you have the right to complain to a data protection authority. Skyscanner is provided by Skyscanner Limited, a company registered in the UK. Skyscanner Limited is the Data Controller of any information collected from you by us. Our registered office address is: Floor 6, The Avenue, 1 Bedford Avenue, London, United Kingdom, WC1B 3AU.